(August 21 (8), 1912, Odessa – August 2, 1996, Moscow). In 1996 Precision Engineering Design Bureau (KBtochmash) was named after Alexander Nudelman. Alexander E. Nudelman is the eminent designer of shooting and gun arms and missiles, Doctor of Technics (1963), Academician of Russian Academy of Missile and Artillery Sciences (1994) and Academician of Academy of Cosmonauticus named after K. E. Tsiolkovsky (1994). • Orders of Kutuzov 1st and 2nd classes (1944, 1945) and medals. Alexander Nudelman was graduated from Odessa Industrial Institute in 1935 and worked in Special Design Bureau of People’s Commissariat of Arming (since 1996 – Nudelman Precision Engineering Design Bureau (KBtochmash) in Moscow. It was Alexander Nudelman who designed quick-firing automatic aviation guns NS-37 (1942), NS-45 (1943), NS-23 (1944). The figures of the guns names indicate their caliber. The guns were adopted for combat aircrafts LaGG-3, YaK-7B, YaK-9T, Il-2, YaK-9, YaK-9K, Il-10 during World War II. The aviation guns demonstrated their fighting capacity not only during air fights but also in the course of air strikes to surface targets. In the Post-war period (1946 – 1971) our Bureau under the direction of Alexander Nudelman designed automatic aviation guns NS-23S, NR-23, N-37, NP-30, P-23, anti-aircraft automatic gun NN-30 for navy ships and boats, automatic grenade launcher system AGS-17 Plamya and its aviation and naval modifications. In 1955 – 1987 the Bureau also under the direction of Alexander Nudelman developed unguided air-to-surface missile S-5, S-8, S-25 with different types of warheads, guided missiles S-25L, S-25LD. In 1960 self-propelled anti-tank system Falanga was adopted by the Soviet army. In 1976 the world first tank guided weapon system Kobra was designed and adopted by the Soviet army. 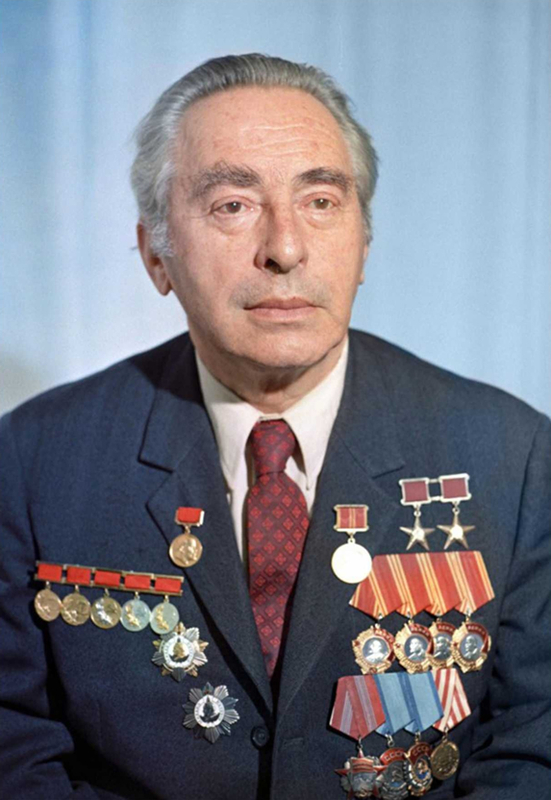 In 1968 – 1979 Alexander Nudelman managed the development of air defense missile system of close-in defensive line Strela-1, Strela-10SV, Strela-10M3 and other modifications.